Chick-lit! It was exhilarating to read something different and not paranormal. I gave it a 3.5-star. 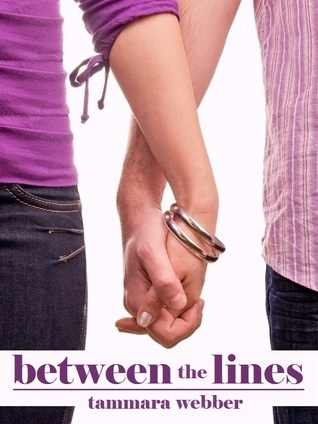 Between the Lines are just plain and simple story about a girl, Emma, finding love after going through hurdles of misunderstanding and heartbreaks. I like Emma because she was true to herself and not in over her head. The book was written from two characters’ points of view, Emma’s and Reid’s. Reid was such an irresponsible jerk. He can be very charming guy but decided to act against it as a protective strategy. Reid was a perfect bad boy celebrity image. Graham was more a down-to-earth kind of guy due to his secret which was reveal surprisingly at the end of the book. The beginning was a bit slow but as I continued, it was very much worth it. It was trying to introduce all the characters in place. The interactions between the young characters seem unrealistic at times. I doubt in real life, young celebrities would actually hang out together most of the time. I was going back and forth on wanting the relationship between Emma and Graham to go further, and Reid to wake up from his protected shell. There is not much climax the entire book. I was so happy to find out the announcement by Ms. Webber on GoodReads that there will a sequel coming in October 2011, Where You Are. I think Reid will become have a more morale conscious personality in the next book.